Goa Sunsplash London Launch Party! Published on Sept. 16, 2018, 7:40 p.m.
400 FREE GUESTLIST - CLICK 'GOING' & SIGN UP VIA THE FORM BELOW! We’re taking over EartH, a brand new 1000 capacity venue in Dalston, for an all night celebration to mark the launch of Goa Sunsplash 2019! 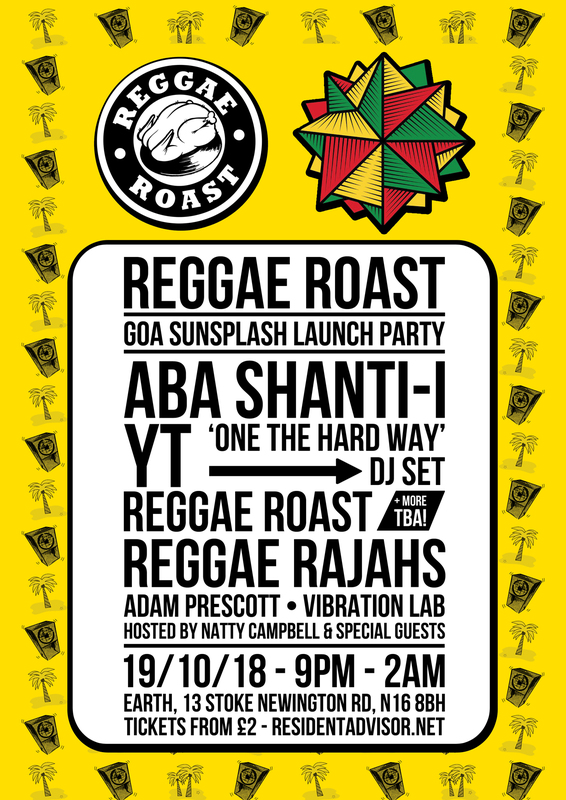 Joining us will be the Notting Hill Carnival stalwart & Roots Ambassador, Aba Shanti-I, as well as a very special ‘One The Hard Way’ DJ set from the lyric machine YT, in addition to the mighty Reggae Rajahs all the way from India!